"2016 International Landscape Design Silver Medal Award recipient through the International Association of Professional Landscape Designers"
We co-create exquisite gardens that harmonize with the environment, through active listening to people and place, thus deepening our relationship with nature and each other. We are located in the City of San Diego. We serve all of San Diego county and beyond. John Beaudry and his team have been helping people build, care for and understand their gardens for over thirty years. We offer sustainable landscape design, installation and maintenance. We specialize in historic landscapes. Our approach is twofold. It involves honoring classical themes in landscape design and architecture while suggesting plants, materials and methodologies that help to stabilize, improve, and restore ecosystem services. 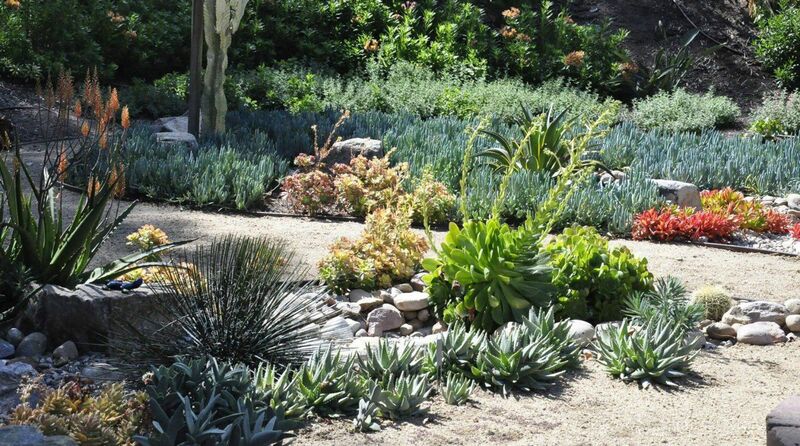 We have designed and installed gardens from New York to Chicago to California for over thirty years. A native of Chicago, Illinois, John received his degree in Ornamental Horticulture from the University of Illinois at Champaign-Urbana in 1982. In addition to managing his own design firm for thirty years, he worked with the Chicago Department of Environment where he coordinated a program called Greencorps Chicago. Greencoprs combined community garden installation and vocational training for people in recovery. In this position he also managed Brownfield Redevelopment Projects, the rooftop garden on Chicago’s City Hall, and Mayor Daley’s Landscape Awards Program. He also served as Senior Horticulturist for the Chicago Botanic Garden where, in addition to managing ten unique gardens, he worked with one of the nation’s top design firms, Oehme van Sweden, to implement one of their largest landscape projects to date: The Gardens of the Great Basin at the Chicago Botanic Garden. More recently, in the San Francisco Bay Area, John was operations manager for Rubicon Landscape, a social enterprise of Rubicon Programs, which provides services for people living in poverty or who are living with disabilities. In this position he managed the landscape operations for Yerba Buena and Treasure Islands where employees are recruited through the Treasure Island Homeless Development Initiative. Most of his staff were either formerly homeless or were living with mental illness. Since moving to San Diego, John has begun a Sustainable Landscape Certificate program at Cuyamaca College. John is committed to creating landscapes that meet the needs of the present without compromising the ability of future generations to meet their own needs. John’s expertise in arboriculture, garden design, installation and management, as well as vocational horticulture has led him from New York to California and abroad. An avid writer and enthusiastic speaker, He is eager to share what he has learned with gardeners everywhere through garden design presentations and classes, garden periodicals, and outreach programs. John’s recent interests include rainforest restoration and permaculture. John is currently working on his first book: Designing the Bungalow Garden: How to Create Gardens and Lives Rooted in Spirit. You may follow John on FaceBook here. John is eager to share his knowledge with gardeners everywhere through presentations, classes, garden periodicals, and outreach programs.